Real x-rays printed on clear, heavy duty plastic. Perfect for use on light tables. 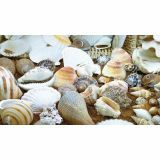 Study the difference between mammals, reptiles, fish, amphibians and birds. 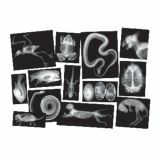 Learn about each featured animal and the process of radiology. The idea guide contains many interesting facts about each animal such as habitat, distinctive features and group type. Up to 8" x 10". Set of 13. Grades K and up. 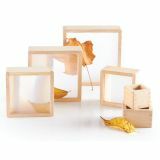 Six stacking squares feature hardwood frames, and smooth, rounded corners and edges, with inset magnified acrylic windows. 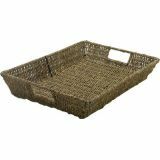 Ideal for exploring natural, tactile, and other detailed materials found inside or in nature. Enhance STEM-based activities with the 6-piece set, perfect for group play. Largest square measures 7”W x 7”D x 2”H. 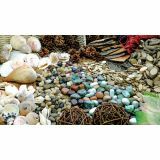 Use for simple observation, sensory exploration, sorting & patterning, creative play, arts & crafts, and much more. Botanicals. 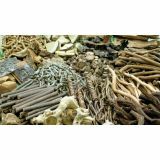 Leaves, pine cones, acorns, grass, seeds, lotus, loofah sponges, and more. 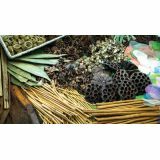 Use for simple observation, sensory exploration, sorting & patterning, creative play, arts & crafts, and much more. Stones & Minerals. 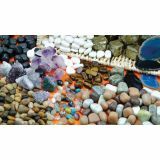 Pebbles, stones, gemstones, clusters, pyrite, and agate. 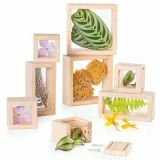 Use for simple observation, sensory exploration, sorting & patterning, creative play, arts & crafts, and much more. Wood Assortment. Branches, drift wood, rattan, roots, bark, and willows. 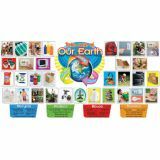 Get kids thinking about helping the Earth as they sort photos of real-life objects into Reduce, Reuse, and Recycle bins. This interactive set includes a header sign inspired by the international recycling symbol, plus tips for making the most of natural resources. 38 pieces. Up to 17". 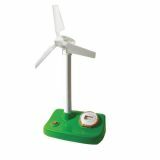 Activities for the Renewable Energy Kit. Helps students gain an understanding of sustainable developments in energy and explore the advantages and disadvantages of using fossil fuels. Activities involving measuring energy will enable them to perform calculations and make comparisons between the costs of different types of energy. 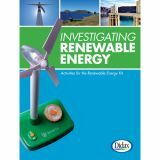 Informational text explaining the principles of solar power, wind power and water power are followed by investigations using the Renewable Energy Kit. Students will be able to record their questions, observations and discoveries about the three types of energy on blackline masters. Designed to make understanding of renewable and sustainable energy generation an exciting and tactile experience using solar, wind and water power. For indoor or outdoor use, this resource comes in a modular format with 4 interchangeable monitors to show differing outputs from the 3 interchangeable power heads (one base). Made of high-impact plastic, the base is 7" x 10", the maximum height is 20", monitors are 3 " in diameter and the kit includes 20 feet of clear tubing for the water module. Includes suggested activities and general teacher's information.